I have been working on a handful of projects around the house lately which are all in a state of half completion. This kind of drives me nuts, it makes me feel scattered. The other morning I cranked out this little fix for a little instant satisfaction. 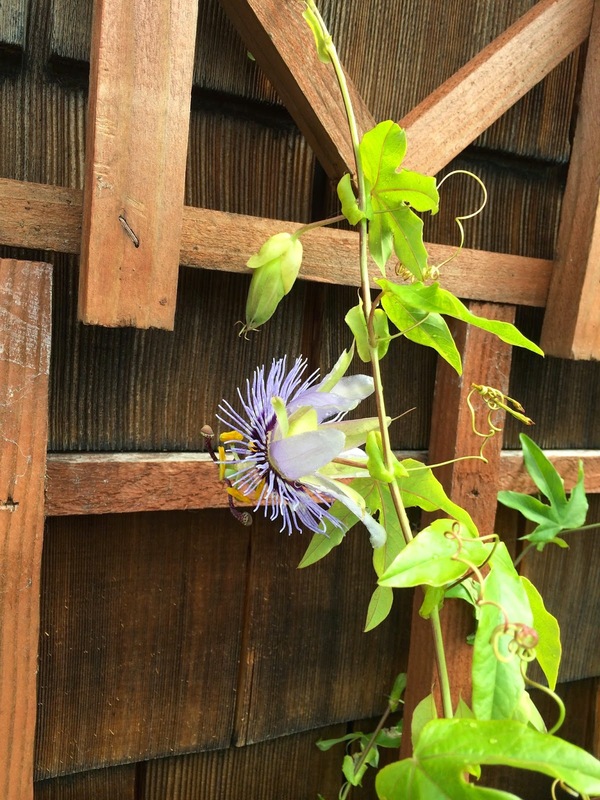 A while back, like at least 4 months ago, my neighbor gave me this passion flower vine and the lattice from her yard. I transplanted it into a big pot on the roof and hacked it back to a nubbin eons ago. 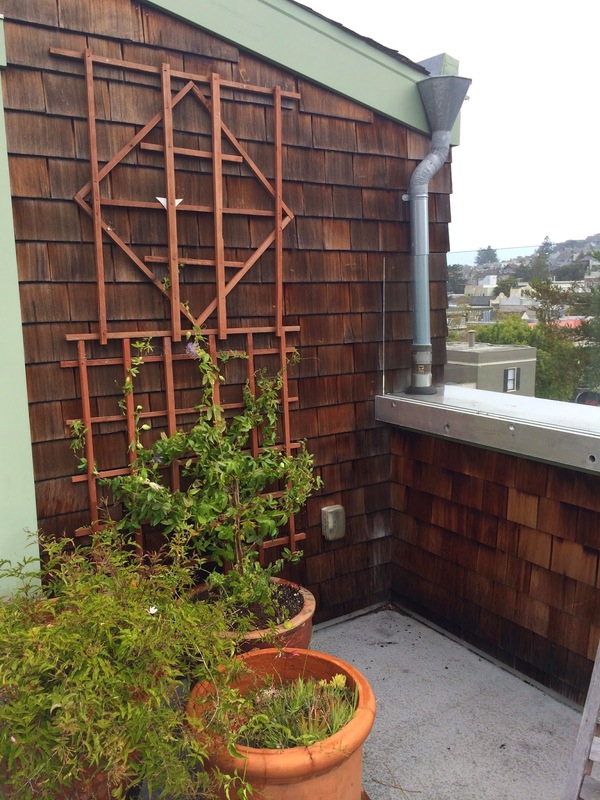 This project was precipitated by the fact that the vine is taking off and starting to bloom. Those little curly tendrils will grab anything and were starting to grab onto the jasmine next to it. I trimmed down the two lattice pieces to fit the space and nailed them up. 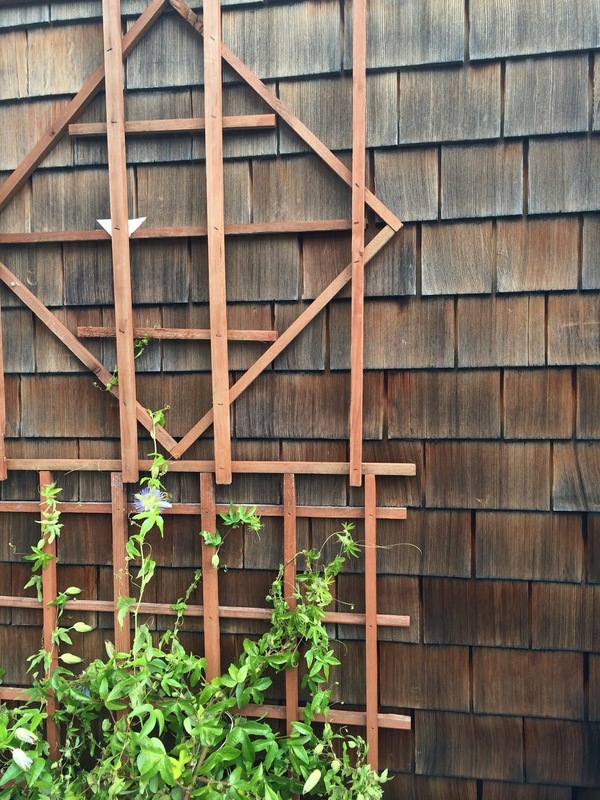 I had to hang the top one backward to get it to fit snuggly to the shingles but once the vine grows no one will be the wiser. The very sad large pot in front is a project for another time. It was/is full of succulents and was once very beautiful. Over time, the dirt has compacted so the plants sit way too low in the pot now and it has been invaded by oxalis, which is impossible to weed out between the tightly packed succulents. Curse you, oxalis! I'm going to have to take everything out and carefully remove all the weed roots and replant. Yeah for getting a job knocked off the list! I was rearranging furniture today - happy that things are looking ok in their new places - I was death afraid i had to buy a bunch of new things (ick). Anyways, I am 25pct done each of the four rooms...and there is overspill from bedrooms on the main floor - so i hear yAh! Ha! Yes for completing something! 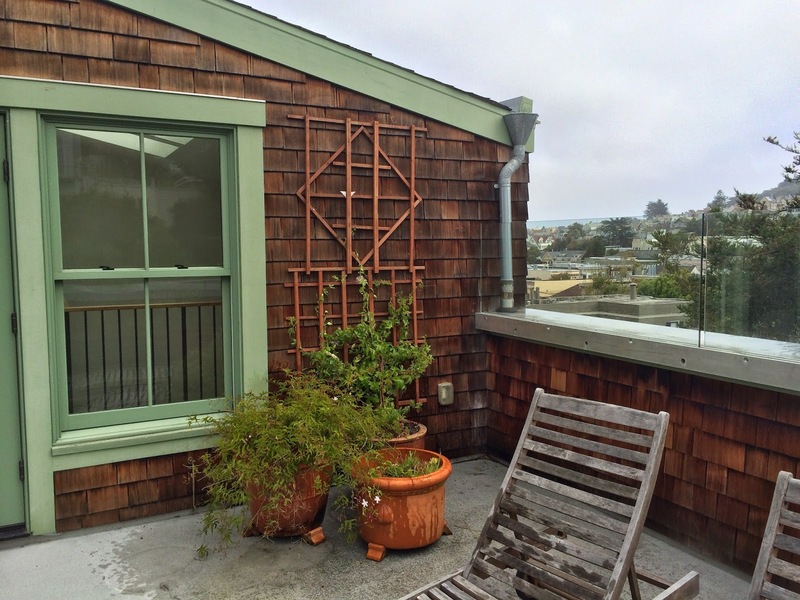 Your blog is so fun to follow right now -with the new cottage, the remodel and the total second floor room-rearrange- thank goodness I can live vicariously through you right now. Maybe you feel like nothing is "completed" but all the activity is so fun to see for nuts like me who absolutely live for rearranging furniture!